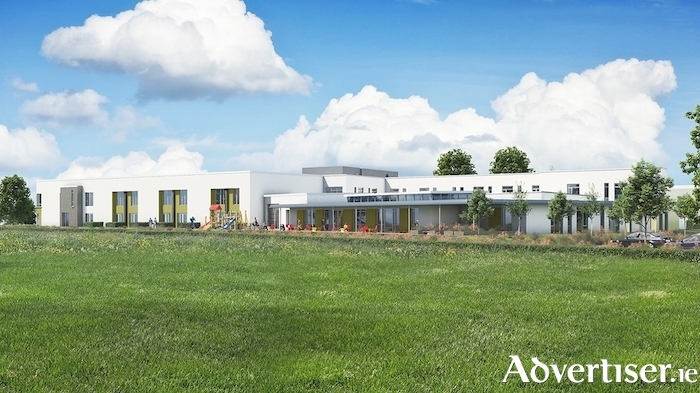 A planning application for a new €20 million 36-bed Galway Hospice at Merlin Park is to be submitted to Galway City Council over the next few days, setting in train a planning debate that will put the hospice on a collision course with local environmentalists. It is envisaged that the planning process, if successfully made by the applicants, will see the new facility open to receive patients in 2021, catering for vastly increased numbers of patients, and providing them with a place to receive palliative care and treatments in a natural environment conducive to healing, rather than in a clinical hospital setting. Chief Executive of the Galway Hospice Foundation, Mary Nash told the Galway Advertiser this week that the definition of palliative care had evolved over the last while and it is this increase in demand for its services that has necessitated the need for the Galway Hospice to seek a site and a bigger facility. She confirmed that following the expression of concerns by those campaigning for the retention of the meadows, a revised plan would see the new hospice set back at one side of the meadow, with a significantly reduced footprint compared to the original siting. The 18-bed facility at Renmore will be replaced by a state of the art 36-bed unit with a day care centre, therapy rooms, and education facilities. However, Caroline Stanley of the Friends of Merlin Woods says in an article in this week’s Advertiser that the group remains opposed to the plans to build on the meadows at Merlin Park and that they believe the availability of 84 acres within the Merlin Park hospital grounds already zoned for development would be a more suitable site for the new Galway Hospice. “There was no transparency with this on the sale of public land, no public consultation, no accountability, no questions being asked. The importance of areas like this for community use when we are surrounded by housing, commercial and road development to escape noise, pollution and for our general health and wellbeing must never be underestimated. “It seems counter productive to destroy a beautiful healthy environment to create something that will only create more damage to a local community and their health by taking away this valuable green space,” she concluded. Full story inside on Page 4 and Page 12. Page generated in 0.2134 seconds.